I’ve gotten so far behind on this thing AGAIN. I need to go strictly by the notes and not babble so much and I can get through these notes. I have a feeling there will be plenty to write about in the coming days anyway. 7 Jan – At this point we were still waiting on Willy & Sons to fix our refrigerator. It has been 2 days now. It seems they only have 1 technician for Panasonic and he has been in Tacloban. Several weeks ago I suggested that we get a wheelchair for Poppa so he would not have to sit back in his room all the time. He could at least sit up front and ride around a little bit and do something. He can still walk with help, but it’s very slow. Poppa didn’t want it, said he would be embarrassed to be in the wheelchair. Oh, that male ego. We all have it. No one tried to talk him into it either, because he is a bit stubborn. Well today a wheelchair arrived. I guess he changed his mind. He is actually passing by the window now, as I’m taking my notes, he is in the wheelchair, and now wants to sit up front for a little while. He must have been waiting, because he was in it and up front within 5 minutes of the wheelchair arriving. 8 Jan – Today they finally came by to the the refrigerator. They are taking back to the shop to repair. It seems the Freon line is broken and needs to be replaced. They say that it should be back tomorrow, but, as always, I’ll believe it when I see it. I added another expat to the Calbayog Expat. His name is Trevor Cheney. Also, last week, before I thought about putting the names here on the blog, I added Robert Phipps. Trevor would like, and I agree, to have regular expat meetings for the expats around this area. The front of our new gate is now painted green. Victor actually painted it a couple of days ago, but I didn’t think to mention it. Heck, to this point, I had not even been out the gate since it was painted to even see it myself. I did eventually get out to see it, but it wasn’t this day. I went downtown on the 11th to check for my medication and show it then. 9 Jan – The refrigerator did make it back today. It was around 5 pm when they showed up. We plugged it in and it’s working great. Since it’s new, the freezer doors sticks a little bit, but they told Lita it would do that at first. It will get easier eventually. So Lita and Pam loaded up the freezer portion with water and tomorrow we will be back to selling ice again. 10 Jan – I had Scott work on my computer today, via Team Viewer. He is at home sick and I didn’t want all his germs all over me. The computer is still not working like it’s suppose to, but at least know that he’s worked on it a little bit, I can get to where I want to go. It’s not the most convenient way, but it’s better than no way at all. Now I can do some things and won’t have to complain so much. Y’all may have noticed that the blog has a little bit new look. It could have a much different look soon, but I’m not so sure when that will be happening. I hate to be a gloomy Gus about the PX and Commissary possibilities, but with the type of military presence that the US will put in will be rotational in nature. Where large amounts of troops will only be on the ground for a week or two. They will either bring what they need or at best set up a mobile PX for toothpaste and such. I would wager that any permanent structures and facilities will be maintained by Filipino citizens with a couple of Yank supervisors (DOD civilian employees), such as refueling facilities and storage warehouses. Those few military personnel that are permanent will be paid a hefty per diem rate so they can get their “comfort” items at places like S&R (I run into embassy folks all the time at our local S&R). 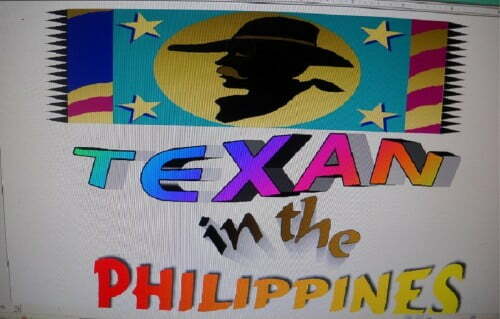 But if wishing made it so,,,,,,,,,,,I would throw whole handfuls of centavo coins down the well :). You’re probably right Scott, but I’ve got a handful of centavo coins too. Also you never know about the future, things could change and we could get permission to build our on base again. Just keep tossing centavos. John I forgot to ask. Have you been keeping up with that EDCA that US and Philippines agreed to. It sound like they are going to let US use more Air Bases in the Philippines. Maybe it will make it easier to get Space-A in and out of Philippines with more Flights. And more personnel rotating in and out. 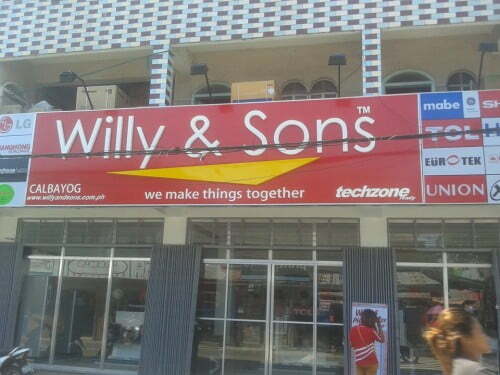 John is this Willy and Son’s across from Shell Station? When I bought my Refrig. The place was on same Side and a couple of doors down from Shell Station. When I went back looking for Warranty they was closed and changed Name and moved across the street. I ask if they was hiding from Bill collectors. 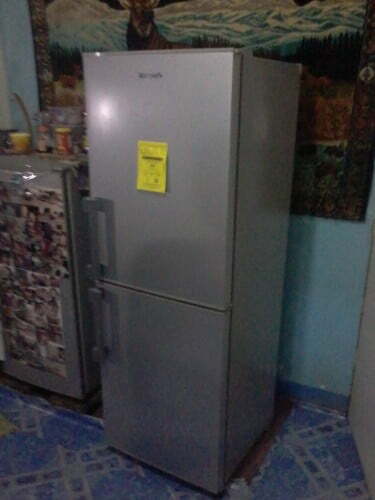 Found out since they changed name will not honor Warranty even if Distributor for same name Refrigerator. If I was you find time delay to put on your Refrig. Power over there is hard on starting components and Compressor. Will burn them up when going off and on all the time. How much longer before you become a Millionaire after they take face off your house when widening road. Keep me informed so I can come over and help you Party. Ha! Ha! I have not been to the Willy & Sons. Lita went. She tells me it’s on Navarro St. The “millionaire” status is still up in the air. I suppose whenever they get around to it they’ll do it. I wish they’d hurry up. I think Lita & Judith have finally decided to start that restaurant/store combo thing here and we can’t really do anything until they take what they are going to take. Maybe after we get that money, and if I remember or am reminded, we’ll get that time delay. As for a party, well I’ve been thinking I should have a party here or maybe at my cousins restaurant downtown. She said I could have it there and they have just expanded their restaurant. They got rid of the store, moved the restaurant across the street and it now has 2 rooms and a nice patio area out front. I’ve been trying to keep up with them letting the US use bases again. I’m not sure how it will affect Space A, but that, medical, Commissary and Exchange stuff have been on my mind since I found out. There are suppose to be 8 places, at least, but Subic and on Palawan are the only ones I remember,and most of them are on Luzon. There was nothing in Samar though. I guess we really are the step-child of the Philippines here. I doubt they will be building any commissary’s. In the US the Defence Dept and Congress are trying to defund them. Said Military is getting to many benefits. HA!HA! Yes that’s true. At this point just having a shoppette that retirees would be allowed to go to would be a step in the right direction. The Space A thing is more of a concern to me anyway, just being greedy.